Under a scorching sun and with little shade to hide under, day two of Virgin Festival began with a small crowd that steadily grew to fill the hill in front of the main stage. Though uncontrollable sweating and the possibility of sunstroke threatened the listeners, the music was too good to resist, and most were just thankful there was no rain or lightening to shut things down early as it did on Saturday night. The second day of the weekend long event at Deer Lake Park started off with a solid performance from Edward Sharpe and the Magnetic Zeros. While they may not have been well known to many of the attendees of the festival they produced a well played, entertaining set despite the small crowd. Following Edward Sharpe were The Manvils, Carly Rae Jespen, and De La Soul. 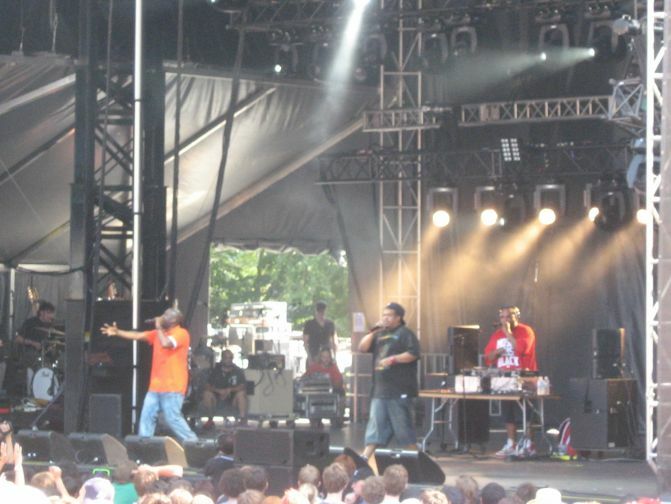 De La Soul did an excellent job of getting the crowd moving and repeating cries of “Party over here!” and encouraging even the hottest of listeners to move from the shade to a prime spot by the stage. Also at Sunday’s show were Awesome Colour, Jarvis Cocker and Future of the Left. Followed by Sonic Youth, The Thermals, Metric, and Gomez. 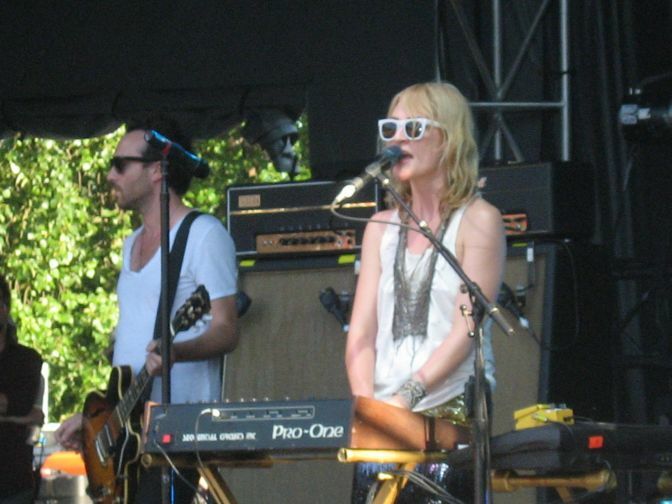 Metric preformed their usual high-energy show complete with passionate dancing from lead singer Emily Haines, while they played tracks from their new album along with some of their older songs. Ben Harper & Relentless7 closed the show with a strong set backed by the sunset, though those who are used to Harper’s previous, more mellow music may have been disappointed, albeit still entertained, by his new heavier rock sound. 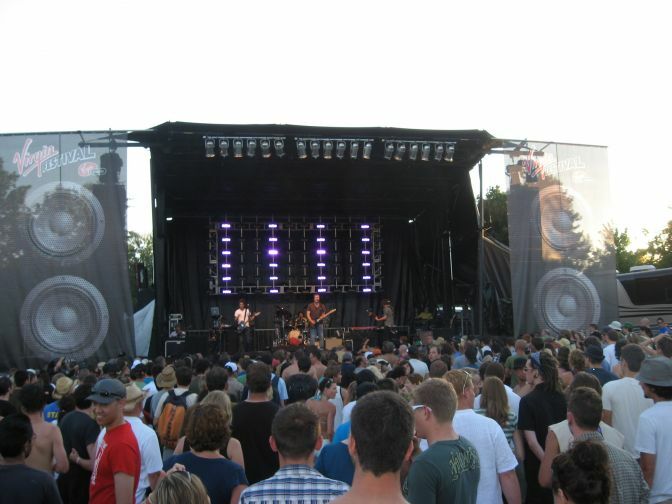 The bands alternated between the main stage and the smaller stage and though the lineup for the day featured some solid acts, they varied somewhat by genre. While most people likely enjoyed themselves despite this fact, there were some bands that seemed out of place. Carly Rae Jespen from Mission was one of them. Though a talented local act, the pop-country songstress seemed to throw off the listeners there for the indie-rock and hip-hop main acts. Overall day two of Virgin Festival was a good time spent listening to talented musicians, but one is left to wonder, if Virgin can put on such a solid show, why, oh why does their local radio station (which was promoted at the event) play such a homogenous assortment of mainstream pop music? » The Regent's Last Picture Show. Recently I had the chance to check out a relatively new local group, The Joel Brown Trio, at Corduroy restaurant in Kits. The group is so new I don't think they even have a myspace page, but they definitely have their act down.